You'll think you've hit buried treasure! 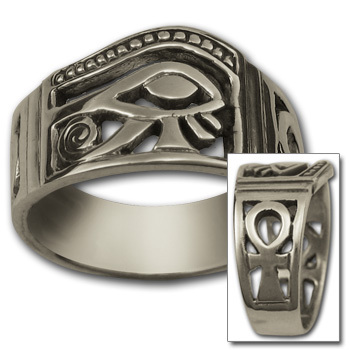 The Ankh ring or "eyed" cross was a popular motif throughout Egyptian history and often used to adorn the tombs of kings. The Ankh represents the life-giving elements of air and water and is also said to have healing qualities. 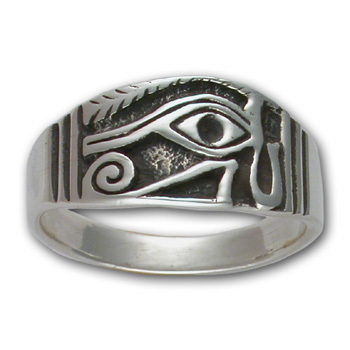 Egyptian gods are often portrayed carrying it by its loop, or bearing one in each hand, arms crossed over their chest. 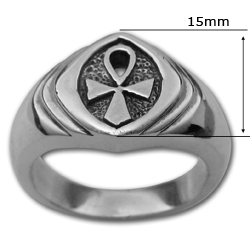 Cast in sterling silver and oxidized to bring out the wonderful detail, this heavy ring is not for the timid!